Most students I know (me included) feel overwhelmed pretty damn regularly. When you’re studying alongside a whole heap of other commitments, life gets pretty busy. Once we panic and stress and decide to try and deal with it, we often decide to create a super long to-do list to try to catch back up. But doing this can turn us into to-do list masochists. What on earth is a to-do list masochist, Chloe? Well, my friend…to-do list masochism is the painful but pleasurable act of creating never-ending task lists. - moving tasks from one list to the next. - feelings of shame and inadequacy when you don’t complete your list. If you’ve diagnosed yourself, keep on reading! Even though a short to-do list is manageable, it doesn’t scratch the same itch. Creating a long to-do list feels satisfying because you feel like you’ve translated the overwhelm in your head into a clear action plan. But then you never get to the bottom of that list so you feel crappy and vow to try harder again the next day – and so this painful but attractive cycle is formed – hence the term masochist. My question to you is, would you rather BE productive or FEEL productive? A key point to remember is that prioritisation is more important than pretence. We don’t want to soothe our to-do list masochist attitude. Instead we want to actually BE productive – we want to get in, get the good stuff done, then get on with our non-study lives. Many students write down absolutely everything they need to do and call this their to-do list. They work through each task in no particular order, maybe leaving the harder ones until last. For every task they check off they seem to add one or two more to the bottom. 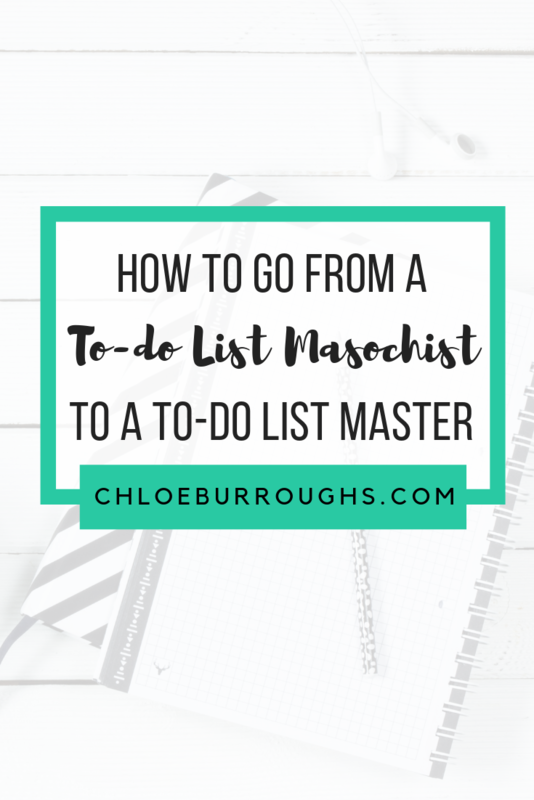 In today’s blog post I want to help you break out of to-do list masochism for good. 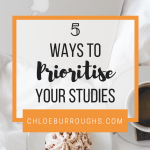 Rather than working to one massive, satisfying (but ultimately soul-destroying) to-do list, work out what your priorities are and then schedule your study time to make them happen. This seems too simple to work but this shift will have a massive impact on your studying if you allow it. 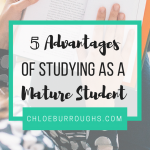 As busy students, life can get in the way of our well-intentioned study plans at times. Family emergencies, unexpected appointments, busy times at work…can all derail our weeks and leave us feeling even more overwhelmed. 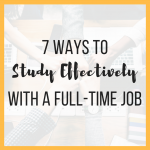 The good thing about studying with your priorities in mind is that, even if your study sessions at the end of each week are scarce or less productive, you’ll have still got your important study tasks done and you’ll have made progress towards your study goals. Getting everything out of your head and onto paper can really help with reducing overwhelm. 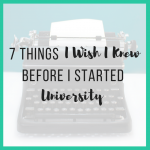 So, as part of your study planning process each week, take a piece of paper, draw a bubble in the middle, and write ‘all my thoughts’ or ‘contents of my brain’ in it. Then, think about the areas of your life where you’re feeling overwhelmed and add these as branches to your mindmap. These might be studying, work, personal, family, relationship, business…anything. Then, add alllllll of your thoughts, worries, tasks and events related to these areas. Get everything out onto paper and feel the weight lift a little as you no longer have to store all this in your brain. 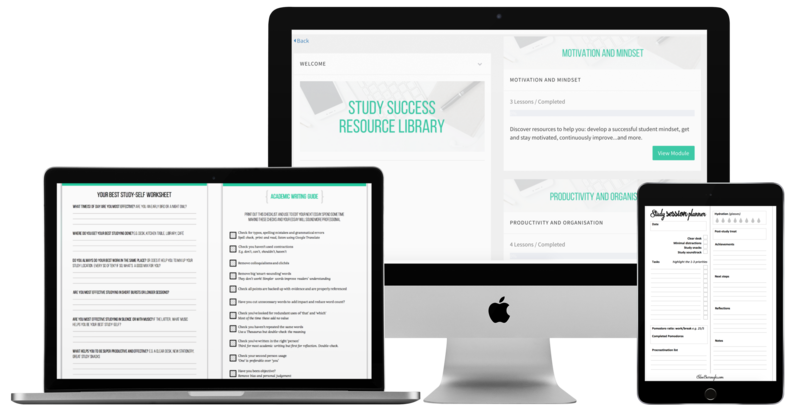 Using the studying section of your brain download, your syllabus/module outline, and your upcoming due dates – identify which of your study tasks are priorities. Which tasks will help you move forward towards your study goals and the grades you want? - Learn how to reference accurately. - Find practice and past exam papers. Write these down at the top of a piece of paper, in your diary or using one of my weekly task list printables (available in my Study Success Resource Library). Next, identify the other study tasks you want to complete or that support your priority tasks. These are your nice-to-have tasks such as watching subject videos, additional reading, typing up lecture notes. For each of your study sessions that week, look at your weekly task list and identify the priority tasks you want to focus on. Once you’ve completed all your priority tasks for the week then you can move onto your nice-to-have tasks. Use your judgement here as there may be a few nice-to-haves you need to complete first. Ultimately, the focus of your study sessions should always be on completing your priority tasks first. If the tasks seem too big, break them down into smaller sub-tasks. Plan a reward each week for once you’ve completed your priority tasks. 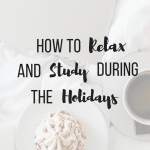 Planning your studying this way means the important work is done earlier in the week. If something comes up which prevents you studying later in the week you’ll have still made progress towards your study goals – win! 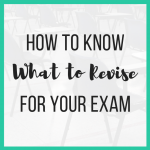 To help you with this process, sign up to my FREE resource library full of printables and planning sheets to help you achieve higher grades.